Granddad Ron and Mimi came to visit Simon and Max over the weekend, and good times were had by all. 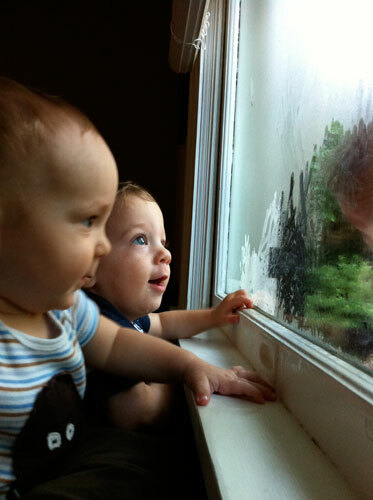 Look Simon, someone is outside. 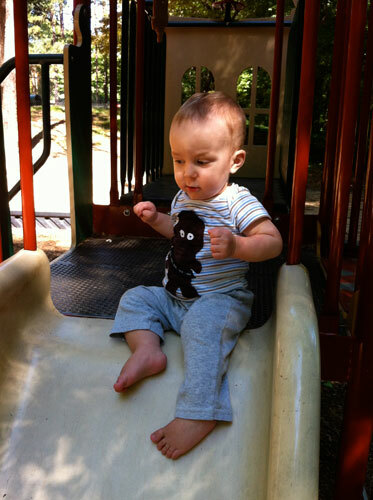 Simon a bit undecided about the slide. 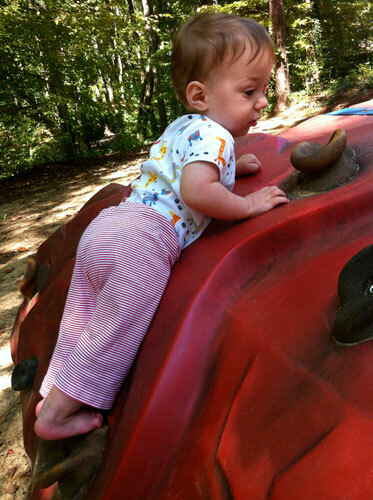 Max showing us his climbing skills.